High Catton Grange Holiday Cottages01759 371374work Self-cateringAt High Catton Grange we have three very comfortable self-catering cottages (The Cottage, Ruxpin, The Courtyard), set in a peaceful rural location only minutes from the historic city of York, with easy access to coast, moors etc. We maintain a non-smoking policy throughout. 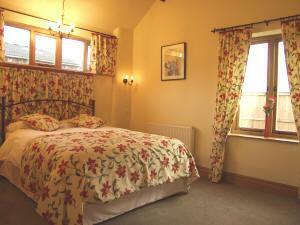 All the cottages are finished to a very high standard and are very well equipped. All have their own private spacious patios with garden furniture, with a good selection of tourist information, novels and games. Ample parking. All open all year. The Cottage only accepts pets. Ruxpin and The Courtyard offer ground level accommodation with mobility 2 grading in The Courtyard. Weekly stays are available Saturday to Saturday, long weekend and midweek breaks are also available. We can arrange Flowers, Chocolates, Wine or Champagne for your arrival. For further information please click here or contact us direct. At High Catton Grange we have three very comfortable self-catering cottages, set in a peaceful rural location only minutes from the historic city of York, with easy access to coast, moors etc. Dogs are acceptable in The Cottage only. Disabled facilities available in Ruxpin and The Courtyard only. For further information regarding all cottage facilities, please visit the website direct. Children welcome from any age.